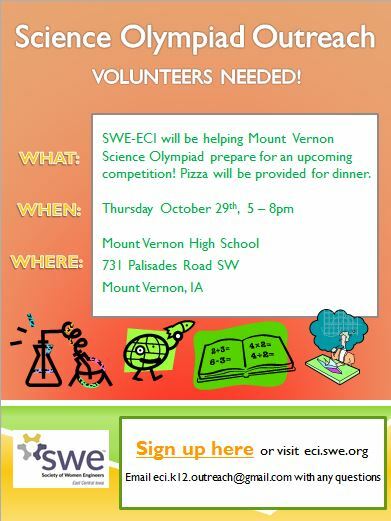 SWE-ECI will be helping Mount Vernon Science Olympiad prepare for competition. Pizza will be provided for dinner. 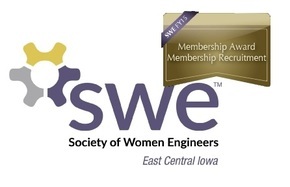 When: Thursday, Oct 29th, 5-8 p.m.
​Please contact Alyssa Reinhardt at eci.k12.outreach@gmail.com if you have questions and RSVP below!